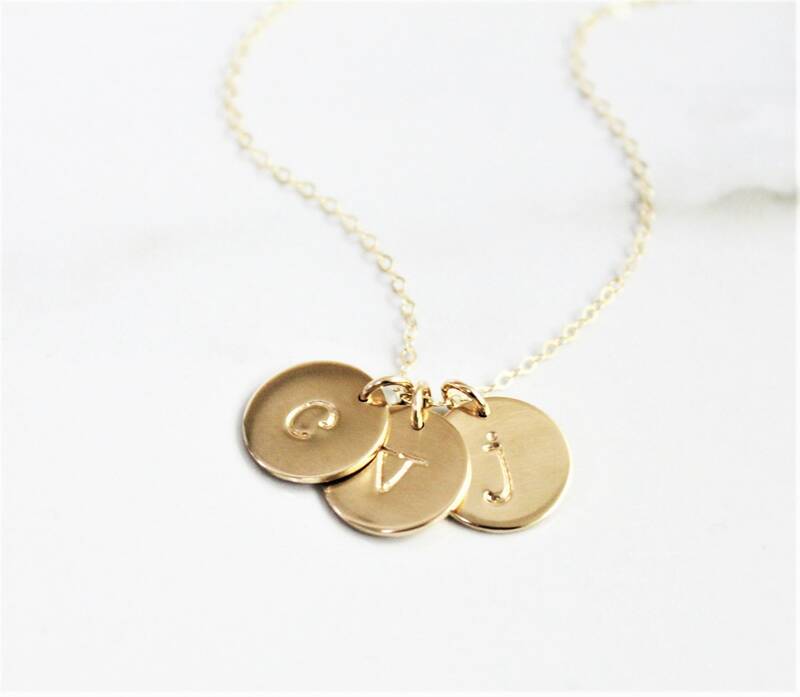 Our classic medium initial necklace is perfect for everyday. 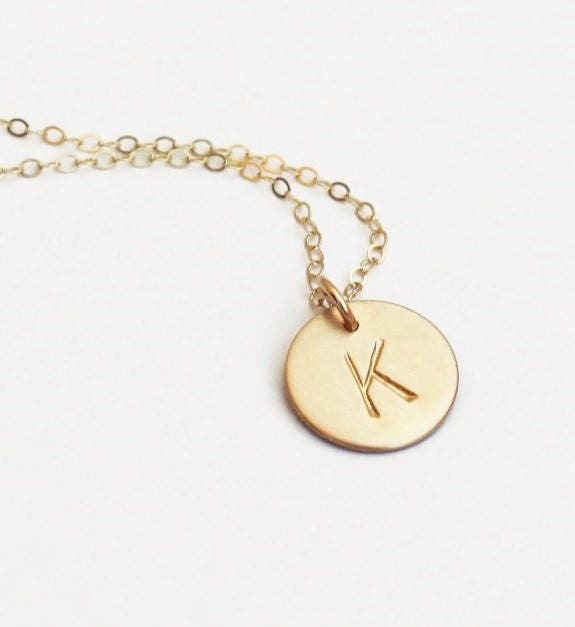 Wear it close to your heart or personalized with your special initials hand stamped just for you! 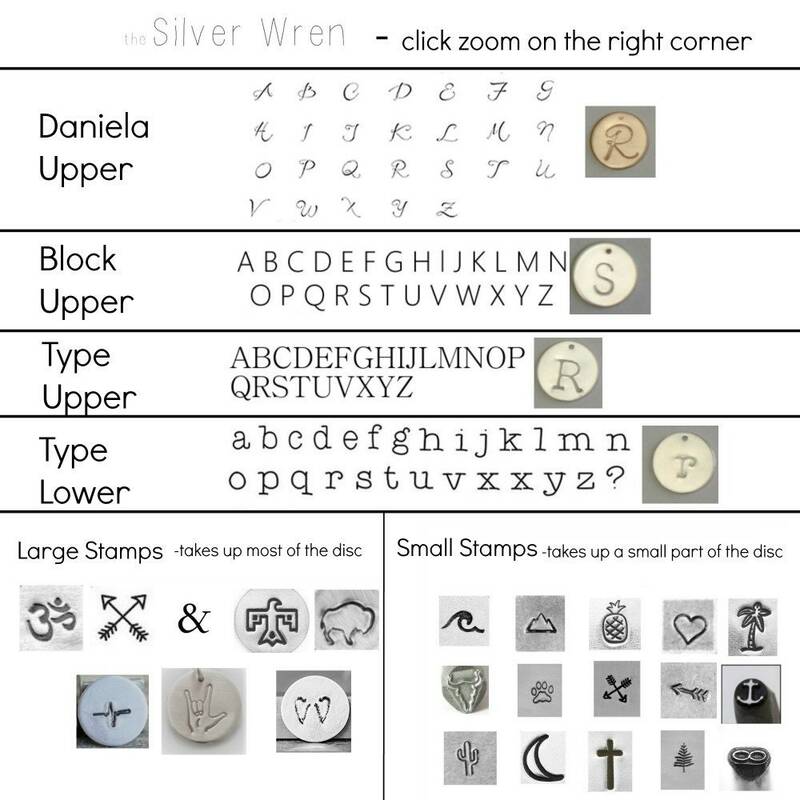 -This disc can also be left blank or hammered with no initial. - Model is wearing 18' in photo 1 and 16" in Photo 4. 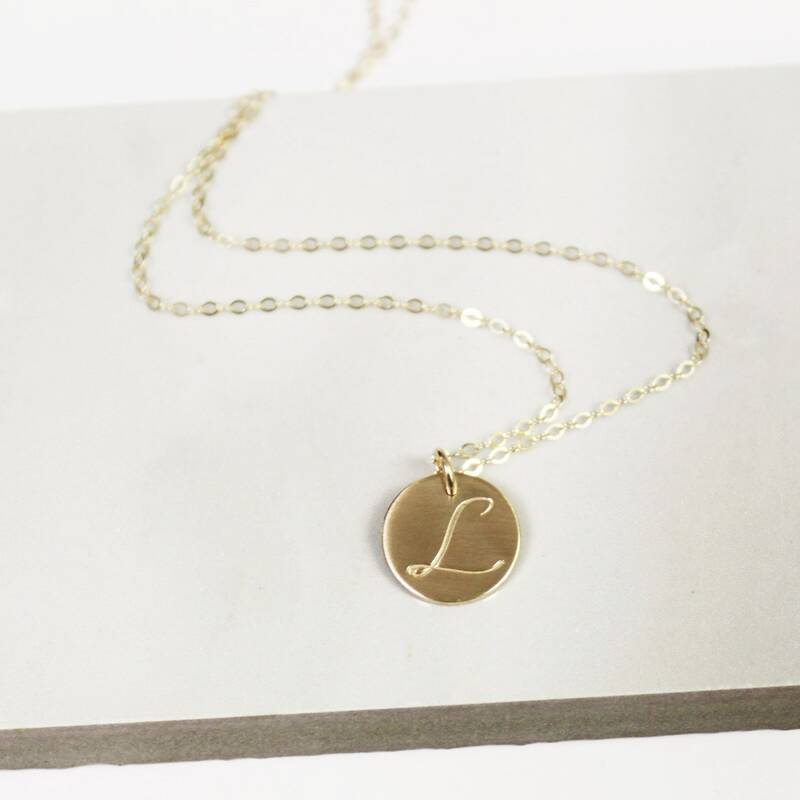 Listing is for one gold initial necklace, please visit my shop for the other necklaces shown in photo 4. Love love love so cute and perfect!!! Got it for my daughter. So happy with this purchase! 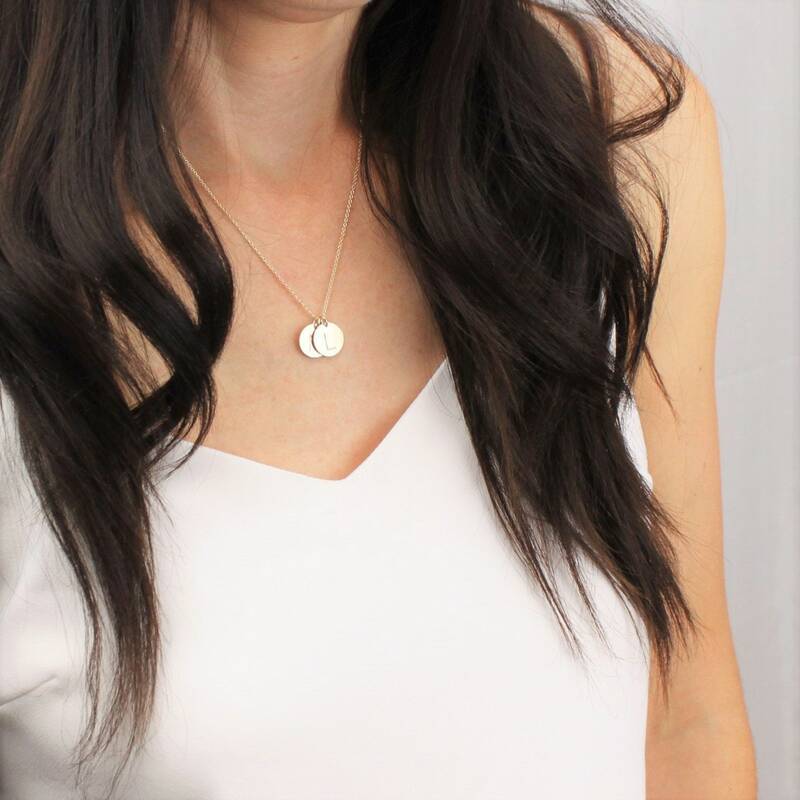 These are the perfect little necklaces! Very well made! 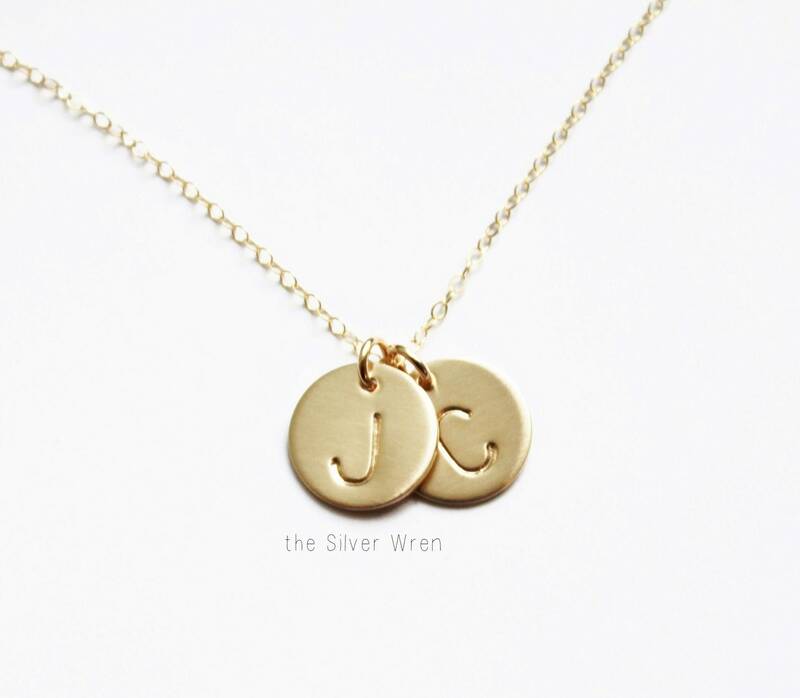 Can't wait to give them to my bridesmaids! Also the seller was great very fast response to a change in my order!